Feminized Cannabis SeedsThere are 29 products. Our Zambeza feminized cannabis seeds are one of the best ways to ensure you crop is always female. There is nothing worse than pouring all of your love, time, and effort into a cannabis seed, to only find out you have been growing a male when the time to flower comes. Fortunately, this is a problem most growers no longer need to face. Feminized seeds ensure female plants every time, meaning you are rewarded with nothing but succulent bud every time you grow a Zambeza seed! Eliminate the risk of growing a male plant and check out our huge selection of feminized cannabis seeds below. Crazy Cookies is an indica-dominant strain with hybrid vigour and head turning yields and an amazing 24% THC. The breeders here at Zambeza Seeds have been busy creating an amazing array of cannabis strains. 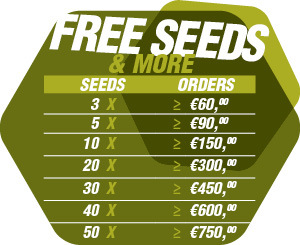 Every variety is available as feminized seeds. Only the finest cultivars are chosen as breeding stock. Heavy yield and high potency are what every marijuana grower deserves from elite genetics. Our feminized cannabis strains can and will satisfy your needs. The Zambeza Seeds feminized photoperiodic seeds catalogue is packed with the very best cannabis strains. That's no boast. That's a fact and we aim to prove it in your grow op. Huge harvests and tremendous cannabinoid production is the Zambeza Seeds standard. Don’t settle for inferior genetics. Not when you can cultivate the finest marijuana. It's gotta be Zambeza Seeds feminized cannabis seeds. WHY CROP FEMINIZED CANNABIS SEEDS? Cultivating exclusively female cannabis plants is a no-brainer. It’s pretty much the whole point of growing your own weed. Moreover, every seasoned cannabis home grower will agree genetics are the most important component of any marijuana grow op. Whether the grow is indoors or outdoor, soil or hydro, genetics matter. Zambeza Seeds' feminized cannabis seeds are 100% feminized and bred from pedigree genetics. No male plants to spoil the sinsemilla. Nothing but high-grade weed in the cannabis garden with Zambeza Seeds. WHICH CANNABIS STRAINS ARE THE BEST? The short answer is, it depends on what type of cannabis user you are. Fortunately, whether you are a medicinal or recreational grower, Zambeza Seeds has got you covered. Like we said, our cannabis catalogue comprises a diverse selection of top-shelf marijuana strains without exception. You really can’t avoid cropping winners with Zambeza Seeds. That being said, here are a handful of our sticky feminized seed favourites to whet your whistle. Champagne is not just wine. Similarly, Power Plant XL is not merely a sativa-dominant cannabis hybrid. Few strains can boast such rapid proliferation of bud sites in such a short blooming period. Way back in the 90’s, Dutch growers successfully bred the original South African landrace beans, that gave rise to Power Plant. Zambeza Seeds have refined the genetics further, as usual. Power Plant XL is incredibly compact for a cannabis strain endowed so richly with sativa genetics. 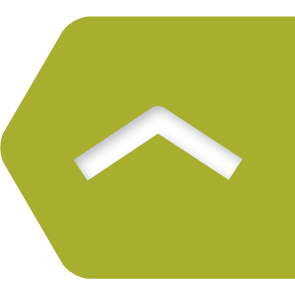 Plants rarely exceeding 1m indoors and 2m outdoors is about the max height in optimal sunny conditions. Flowering is rapid and requires only 55 days under a 12/12 lighting schedule. Buds are long and dense, while the plants themselves are usually squat in appearance. This really is sativa for the sybarite. But make no mistake, this is no delicate little flower; the Power Plant XL is a robust bud factory. This low-profile branchy sativa is a phenomenal marijuana producer both indoors and outdoors. Dank sativa nuggs with a powerful soaring high are a rarity these days. Indica-dominant genetics are not for everyone. If you are looking for head stash and a great day time smoke, we thoroughly recommend the Power Plant XL. Well cured Power Plant XL unleashes a complex blend of sweet and sour flavours on the palate. Be patient after harvest and enjoy some gourmet green with a long-lasting euphoric effect. For those about to be couchlocked, we salute you. Turn your cannabis grow op into a trichome forest from the frozen tundra with the Crazy Cookies. Dense abundant clusters of frosty calyxes and devastating potency are the signature characteristics of these loco ladies. Infusing Girl Scout Cookies with an extra dose of OG Kush was a bold breeding program most cannabis seedbanks wouldn’t be willing to risk. Master breeders alone possess the skills and experience to dabble with dominant Kush genetics without spoiling that special cookie flavour. With the Crazy Cookies Zambeza Seeds have achieved synergy. Visually the plant exudes indica traits. Indoors 80cm tall with a chunky main cola and side branches laden with buds to the point of snapping is common. Crazy Cookies is a perfect SOG cannabis strain. Outdoors bushes up to 2m tall capable of producing 500g of fire marijuana is achievable in a warm climate and with just the right dosage of bloom booster supplements. As we alluded to above, Crazy Cookies is crazy strong. 24% THC can be expected, as is an intense rapid couchlock. The uplifting initial head buzz is short-lived and like a warning shot before the heavy indica artillery smashes you into the sofa. What you will be pleasantly surprised by, is the subtle Durban Poison influence, that adds earthy spicy flavours to the gooey Crazy Cookies nuggs. Medicinally, Crazy Cookies can be very effective for treating insomnia, pain and as an appetite stimulant. If you are the kind of cannabis grower, that believes in the adage “bigger is better” the Critical XXL certainly won’t disappoint. This strain is a sticky green monster oozing resinous buds. By fusing connoisseur-grade Skunk and Afghani genetics, Zambeza Seeds have unlocked copious flower development and 19% THC in the Critical XXL. The huge yield and high potency are not the only impressive attributes of this heavy duty indica hybrid. Critical XXL is as fast as it is furious. In just 50 days chunky pumped up main colas and side branches straining from the weight of nuggs will be ready for harvest. You are not likely to see more magnificent budding in 7 weeks from any other profit-yielding rival cannabis strain. Ideally suited to the ScrOG method. Outdoors, make sure to stake and support Critical XXL. Even in a short summer 2m+ tall ganja bushes can be accomplished. Pungent skunk- and hash-like aroma and an earthy old school flavour will keep you coming back for more of this delicious weed. Effects are classic indica, with a very relaxing long lasting sedative stoned. In high doses the couchlock can be almost narcotic. Once upon a time XXL yield came with many drawbacks, usually subpar quality sinsemilla. With the Critical XXL in the grow op you really can have the best of worlds, bumper harvests and knockout stash. Zambeza Seeds are definitely Kush aficionados and with the Power Kush they have added a brand new legend to the Kush dynasty. Power Kush is a sativa-dominant hybrid of the two international strains with the most street cred and infamous reputation. The US dispensary favourite OG Kush has been blended with the European cannabis club staple Critical to spawn the mighty Power Kush. This unique Kush hybrid is incredibly vigorous and although she is sativa-leaning, to look at her in the grow op you couldn’t tell. Plants are typically only 60-80cm tall with the sativa influence expressing in the effects of the marijuana. Yields are impressive for such a compact plant and with a flowering time of just 50 days, Power Kush has plenty of stealth attributes for the outdoor grower. As you might already have guessed, the scent of this cannabis strain is quite pungent. Really a mix of earthy, peppery and musky Kush odours. Indoors, carbon filters will need to be deployed. Flavours are just as complex and make for a rich full-bodied expansive smoke. 20% THC and sativa genetics give Power Kush a pleasant creative yet tranquil high. In moderation this is fantastic daytime weed. While in higher doses it's a fantastic night cap. The undisputed champion of the heavy indica Hunger Games is the Northern Lights XL. The breeders at Zambeza Seeds wanted still more from the iconic Northern Lights. By crossing the original Northern Lights with outstanding Afghani genetics, the heavy indica blend has been perfected. Sticky green cotton candy colas with the tightest packed calyxes will blow you away with their stunning looks alone. Northern Lights XL will reach 120-150cm indoors and climb to almost 2m outdoors, while still branching vigorously. Yields can be staggering, especially with the SOG or ScrOG methods. THC levels as you would expect are high: 19%+. Newbies might find themselves completely couchlocked. Literally just a few tokes might do it. For those who prefer the heavy stoned body effects of cannabis over racy sativas this strain is the modern classic stash you need in your life. Feminized cannabis strains, that are this easy to cultivate indoors or outdoors regardless of cultivation experience are not to be passed up. Introduce some Northern Lights XL feminized seeds to the grow op. Treat yourself to a low maintenance fire marijuana crop.